Boston- The State Senate today adopted a bill which updates Massachusetts’ lobster laws to permit the processing, sale, and transportation of cooked and frozen in-shell lobster parts. 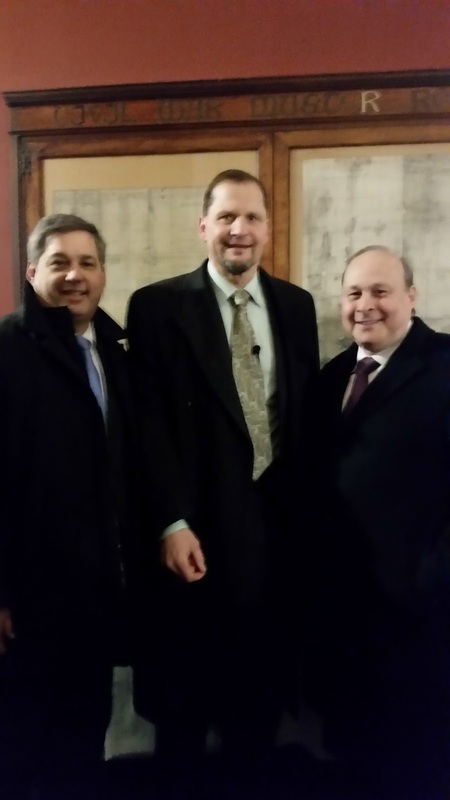 Senate Minority Leader Bruce Tarr (R- Gloucester) sponsored the measure to end prohibitions on in-state sales and processing of lobster parts to accommodate the growing interest of consumers. 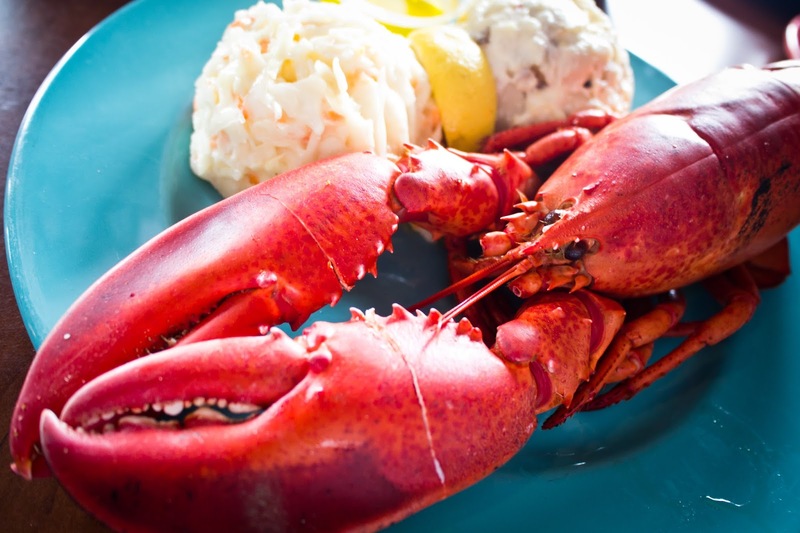 The bill, supported by the Massachusetts lobster industry, is expected to cause an expansion of lobster processed in state and a reduction in lobster diversions to Canadian processors. 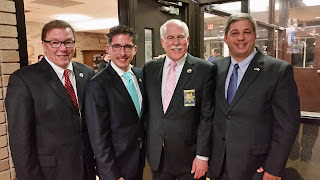 Tarr expressed appreciation for coastal Senators Mark Montigny (D- New Bedford),Vinny deMacedo (R- Plymouth), Daniel Wolf (D- Harwich) and Michael Rodrigues (D-Westport) for their efforts to strengthen the industry and in championing the bill. “The time has come to eliminate such outdated restrictions on lobster processing and sales in the Commonwealth. Easing constraints on processing operations will allow a thriving industry to further invest in our local economy through expanding operations and creating new jobs. I commend Senator Tarr’s leadership as the sponsor of this bill and am proud to have partnered with him in seeing this through to passage. It is my hope the House will quickly follow the Senate’s lead to have a bill on the Governor’s desk as soon as possible.” said Senator Montigny. 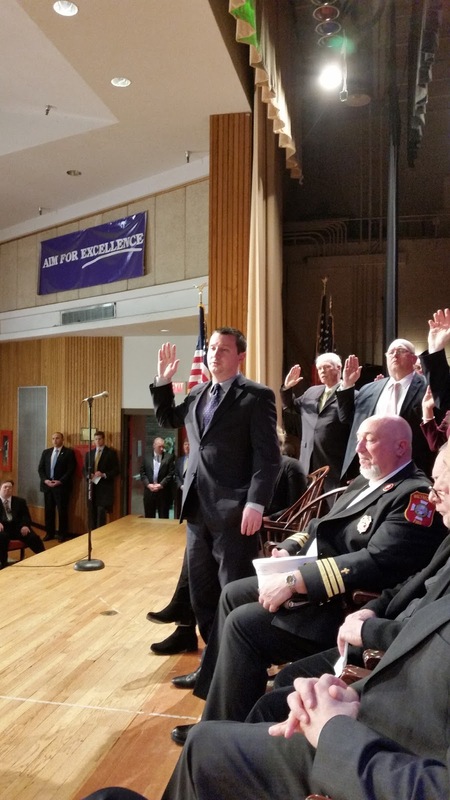 “I am thrilled that the Senate has taken steps to bring this bill forward with a unanimous vote and I know that the lobstermen will be pleased with the advancements that we’ve made,” said Senator deMacedo. The lobster industry is a critical part of the Commonwealth’s economy and heritage with more than 900 licensed lobstermen. A similar law in Maine has boosted Maine’s economy, produced local outlets for product sales, and created jobs in the state. 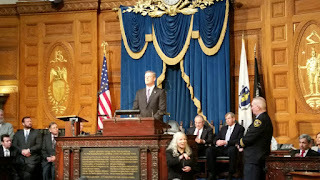 While the sale of live, cooked, and canned lobster is legal in the state, the legislation expands the industry market with the inclusion of other lobster products. The Senate bill allows Department of Public Health licensed wholesale dealers to process unfrozen lobsters, authorizes the importation of unfrozen shell-on lobster parts and tails, and it allows for the retail of previously frozen raw in-shell tails. The Massachusetts Division of Marine Fisheries will be responsible for maintaining essential regulations including enforcing minimum lobster shell size standards and processing standards. The lobster fishery adheres to stringent state regulations including trap limits and the release of live juveniles. The bill now moves to the House for further consideration. 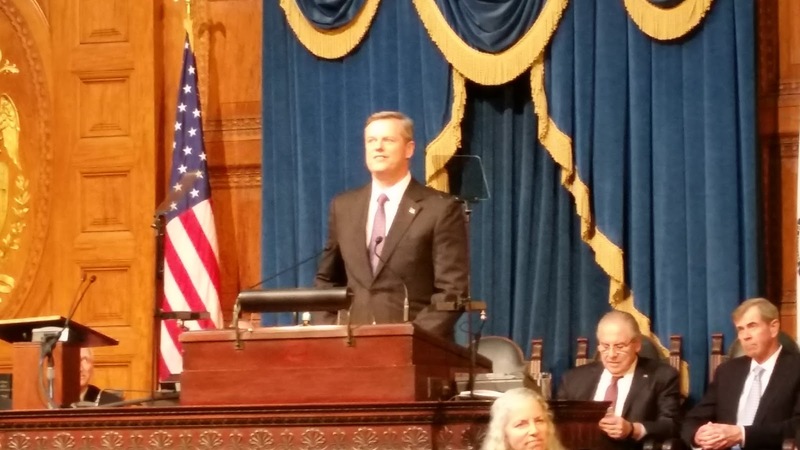 Governor Baker has filed a FY 2017 budget proposal today that honors a commitment to our state’s highest priorities while providing the fiscal discipline that comes from appropriations that match expected revenues, a healthy deposit into the Stabilization Fund, and avoiding tax increases. More specifically, key appropriations in the budget proposal include an increase of 4.3% for unrestricted local aid, adding 600 needed employees at the Department of Children and Families and the expansion of efforts to combat the opioid crisis through treatment services. Not only does this budget continue the long-term process of reducing and eliminating structural budget gaps, it also lays the foundation for continuing economic growth and employment opportunities through support for meaningful workforce training programs. Senate Republicans are committed to working through the budget process in the days ahead with our legislative colleagues and the Baker-Polito Administration to build on the great start the Governor has given us today toward delivering a balanced budget that makes progress on so many fronts. 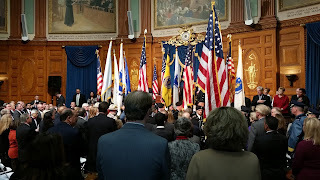 This afternoon I was pleased to join Governor Charlie Baker, Lieutenant Governor Polito, Senate President Rosenberg, House Speaker DeLeo and many other colleagues in state government for the signing of H3956, An act Relative to Civil Commitments for Alcohol and Substance Use Disorders, into law. 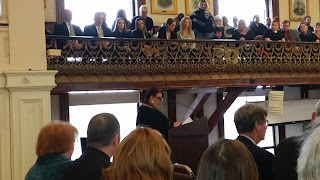 The bill represents a long overdo reform to ensure that women with addiction are no longer forced into state correctional institutions to be able to obtain treatment. For 25 years, women have been sent to MCI Framingham instead of to a center for treatment. What's worse is that for the past 25 years, many women in need of medical assistance have also had to receive a criminal sentence to get treated for an appropriate duration of time. These conditions are unacceptable, and that is why I was pleased to join with so many of my colleagues in the effort to secure this much needed legislation. 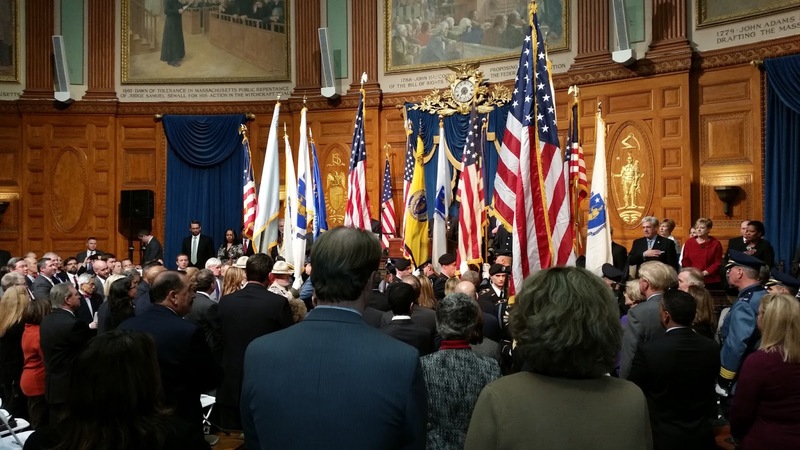 The law Governor Baker signed today represents an important step in confronting one significant issue that needed to be addressed. The bi-partisan collaborative and decisive way it happened points to our ability to take even more steps to address drug addiction if we remain focused , and I will work to ensure that as well. 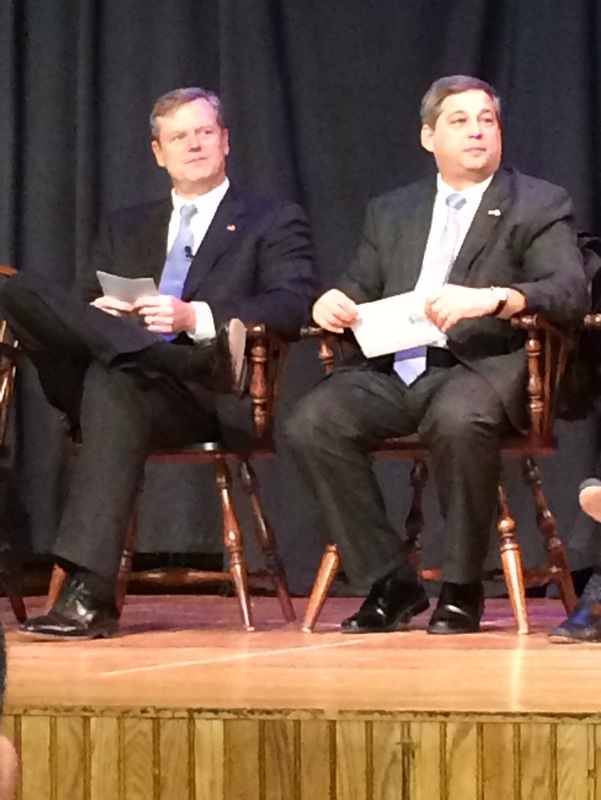 The remarks we’ve heard tonight reconfirm that Governor Baker is taking a hands-on and productive approach to finding practical ways to confront issues like opiate abuse, problems at the MBTA and the need for fiscal discipline in the state budget. And importantly, his approach of consulting stakeholders, engaging the legislature and rejecting partisan polarization is working to move us forward, in contrast to what we see too often in Washington. The Governor’s focus on pressing challenges with initiatives like combatting the opioid epidemic, expanding our renewable energy portfolio with sources such as hydroelectricity, expanding job training efforts, and being more fiscally responsible with our state budget is well placed, and will provide a solid foundation for us all to move forward in 2016. 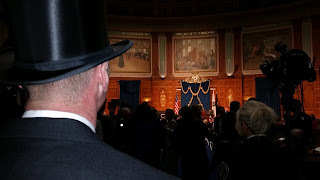 Boston- The Senate Republican Caucus today requested legislative advancement of the net metering solar energy bill which, having cleared both the House and Senate, has been lodged in a conference committee since November. Senate Minority Leader Bruce Tarr (R – Gloucester), a member of the conference committee, was joined by members of the Republican Senate Caucus in calling for a swift return to the table for bill negotiators. According to a letter addressed to the six conference members, the caucus believes that absent further action on the pending legislation a growing concern for the future of state’s solar power sector, which includes more than 12,000 jobs, will fuel “a significant degree of uncertainty that affects consumers, communities, and the ability of Massachusetts to continue its leadership on this front. 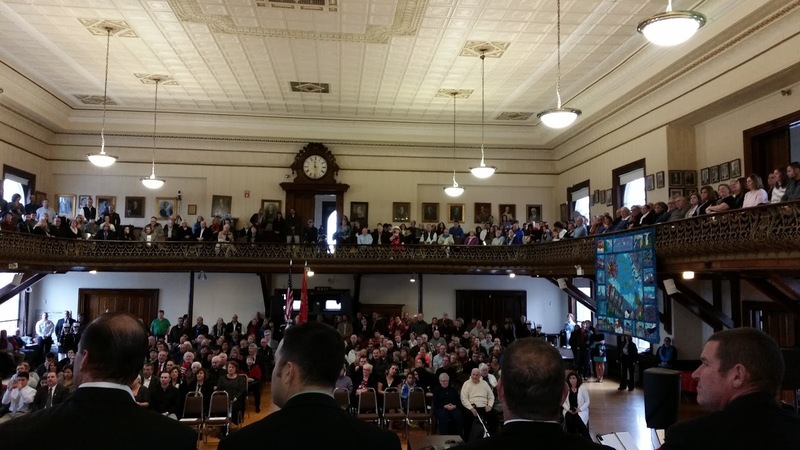 Congratulations to our local public officials across the Commonwealth who were sworn into office this week. Each of these private individuals made a decision to engage in the public arena as candidates for public office. 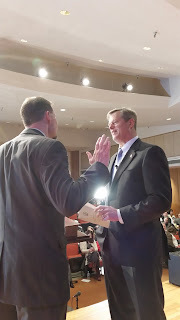 The commitment of time, effort and energy required to be a public servant is easily underestimated and our newly sworn officials deserve our support, and our thanks. 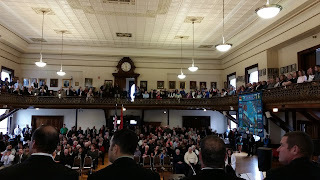 I was inspired watching Gloucester City Hall swell with civic pride as members of the School Committee and City Council joined Mayor Sefatia Romeo Theken to take the oath of office in a city hall auditorium filled with members of the community. 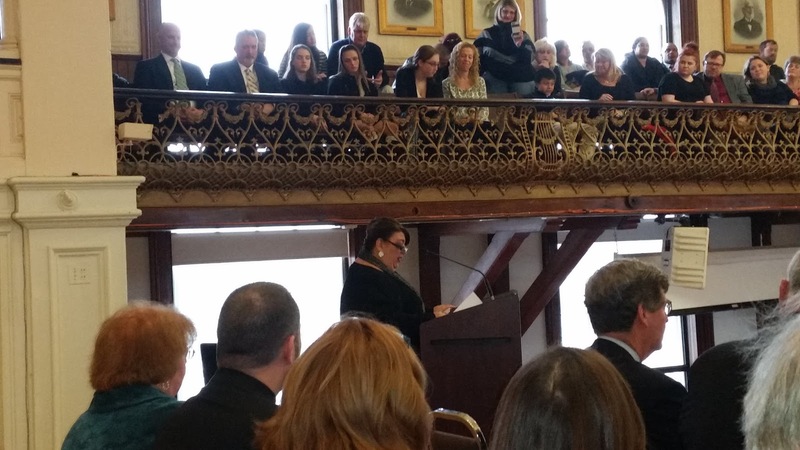 City Clerk Linda Lowe, in what must be a first of its kind, presented the oath of office using a cell phone application of the bible. 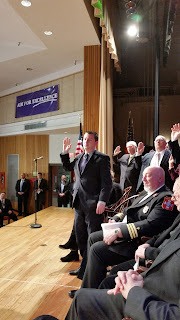 Members of the City Council elected Joseph Ciolino President and members of the School Committee selected Jonathan Pope as their Chairperson and the Mayor offered inaugural remarks. 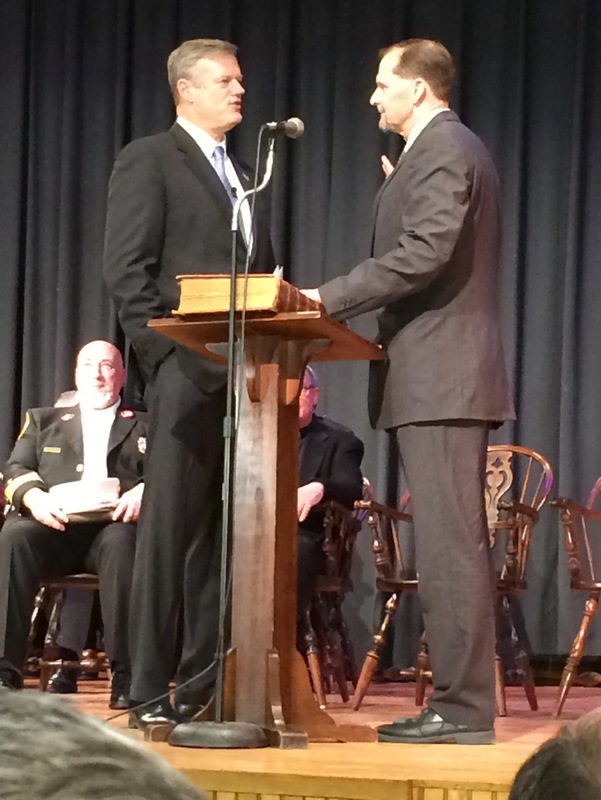 Long-time friend and former Senate Assistant Minority Bob Hedlund was sworn in as the Mayor of Weymouth this week. 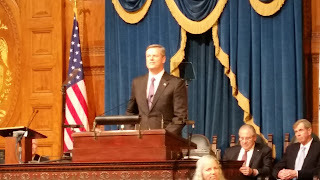 Governor Charlie Baker administered the ceremonial oath of office to him. Patrick O'Connor was re-elected as the Town Council President. 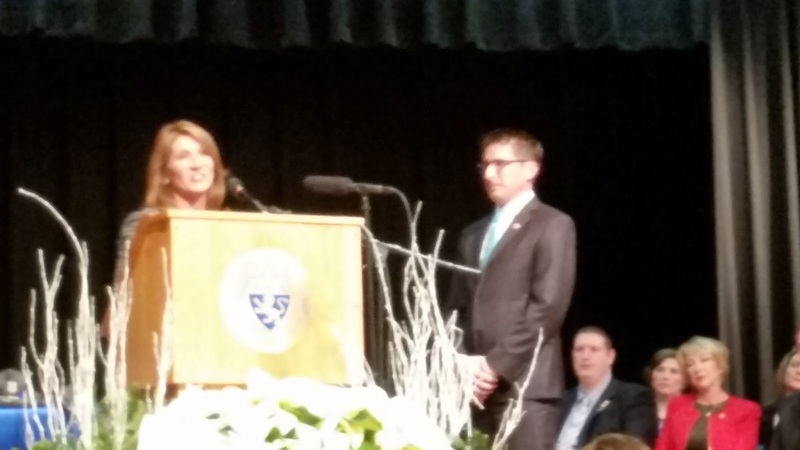 I also had the honor of attending the inauguration of Attleboro’s Mayor, Kevin Dumas, City Council and School Committee. 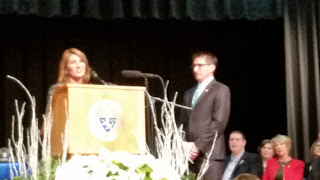 Lieutenant Governor Karyn Polito was on hand to congratulate him and administer the oath of office.